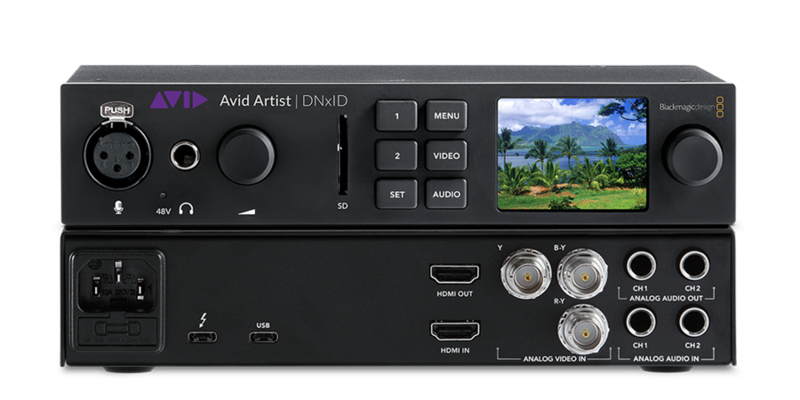 In the office or in the field, Avid’s Artist Family of capture devices has all the bases covered. Avid Artist I/O interfaces offer extensive HD and high-res format support across four interfaces—Avid Artist | DNxIQ, Avid Artist | DNxIV, new Avid Artist | DNxIP, and new Avid Artist | DNxID. This flexibility future-proofs your production, enabling you to work with today’s high-res formats, while supporting HD and SD too. You can also work with 2K or 4K media and deliver in HD with the onboard real-time down-converter, enabling you to transition to high-res at your own pace. 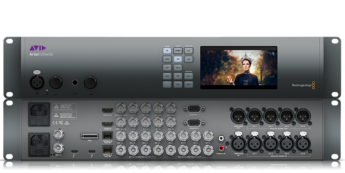 Avid Artist I/O offers a wide range of analog and digital I/O to plug into today’s diverse media productions. Connect all of your gear—from 4K cameras, video decks, and UHD devices, to HDR and audio monitors, mics, and switchers. Each interface provides a different complement of connectivity, which may include SDI, optical, HDMI, XLR, RS-422, component, and other connections, to tie together your studio. 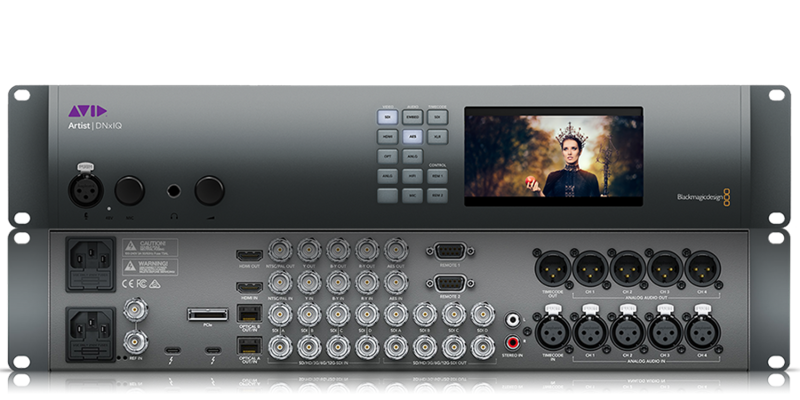 The demands of 2K and 4K media can bring any video production to its knees, but not with Avid Artist I/O at the core. With high-speed Thunderbolt 3 connectivity available on all interfaces, you get the bandwidth you need—up to 40 Gb/s—to ensure the smoothest performance and operation. No matter how hard you push it. While all four interfaces deliver exceptional performance and reliability, each benefits different workflows. 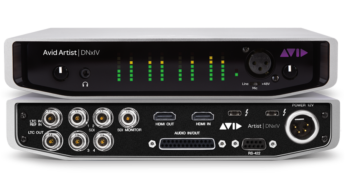 Avid Artist | DNxIQ offers the most extensive connectivity, plus onboard real-time baseband to Avid DNxHR encoding and Universal Mastering, for larger video post environments. 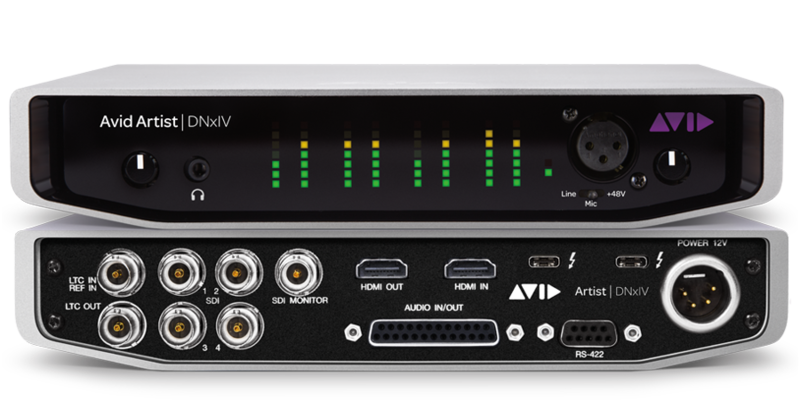 Avid Artist | DNxIV offers quad SDI and 8-channel surround sound monitoring in a portable solution for independent editors and smaller post-production and news teams. Avid Artist | DNxIP enables HD and 2K video over IP, ideal for news and post production. 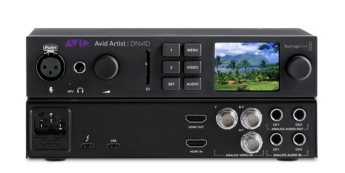 And Avid Artist | DNxID offers a super affordable, ultra-portable solution for editors who need professional-grade I/O on the go. There are many models and options available in the Avid Artist family of products, and as an Avid Integration Partner we can source them all for you via GSA contract.